Amazon’s first cashierless store outside of Seattle has officially opened: in Chicago. The store is located at 113 S Franklin St., and unlike two of the other locations, the store will be closed over the weekend. Amazon’s other three Amazon Go stores are all in Seattle, and like those, the Chicago store is also open long hours -- 7AM through 8PM -- and has no checkout lines. Amazon first announced Amazon Go in 2016, and each store is smaller than a traditional U.S. grocery store; it’s more similar to a convenience store in size. The stores focus on selling products that fit into customers’ busy lifestyles, such as ready-made snacks, lunches, drinks, frozen dinners, and basic groceries. Amazon has reportedly been interested in opening another Go store in San Francisco. Not long after the first store opened its doors in January, the company was reportedly looking to expand to six additional storefronts that were expected to open this year. 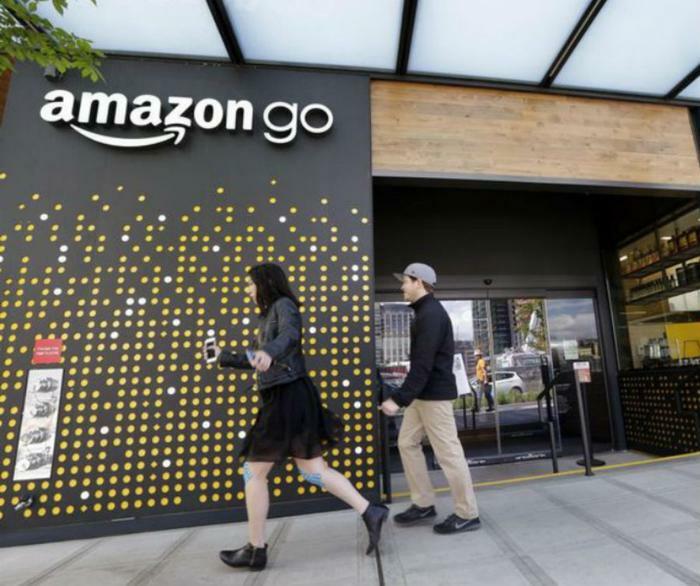 Amazon’s first Go store opened in Seattle in the beginning of this year, allowing shoppers to freely move through the aisles and pick up items as needed. They then can leave the store when they’re done -- no checkout line and no cashier. Amazon places sensors and cameras throughout the store to track what customers are picking up and taking home with them. Their credit cards are then charged accordingly. Customers are required to download the Amazon Go app to their phones and then scan the QR code from the app before leaving the store. Cashier-less stores have become popular in China -- where Amazon isn’t as popular -- though the technology isn’t as advanced as Amazon’s Go stores. Where Amazon relies on image recognition and machine learning, stores in China have been up and running with customers using products’ RFID tags for self-checkout. Similarly, tech companies like JD, Tencent, and Alibaba have entered the cashierless store market. In fact, JD has plans for stores to utilize facial recognition, RFID tags, and QR codes in order to eliminate the need for cashiers. JD currently has over 20 stores across China -- and one in Indonesia.